This is a flour sack dish towel made with cream color flour sack material featuring a teal elephant. I personally hand draw all of my designs and hand pull all of my screen print images. 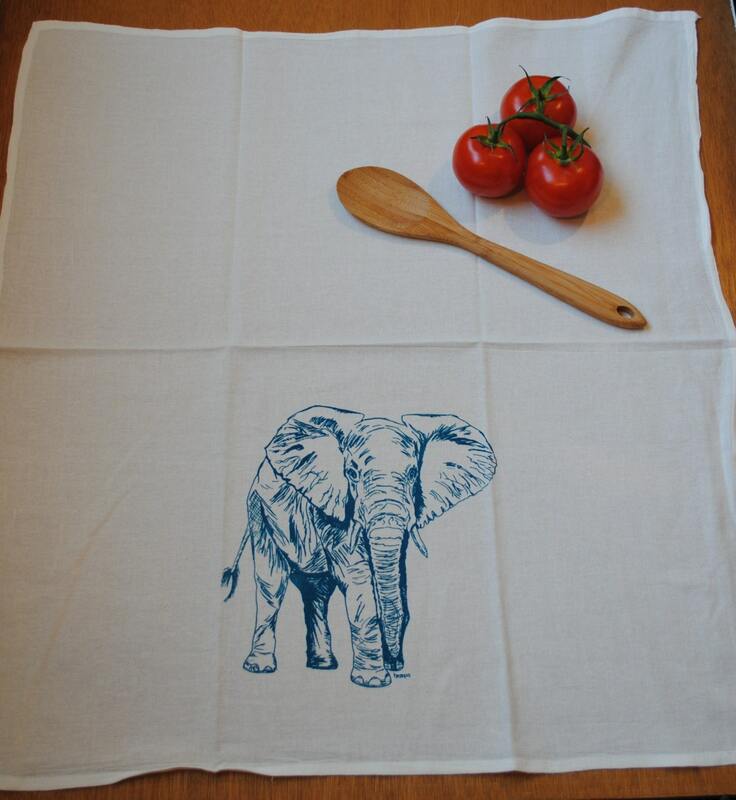 The printed flour sack tea towel is eco-friendly, 100% cotton. They are nice and thick and will stand up to everyday wear. I use high quality water based inks that are earth friendly and long-lasting. This eco friendly cotton flour sack kitchen towel will make a lovely hostess gift, house warming gift, dinner party, Christmas gift or wedding gift. 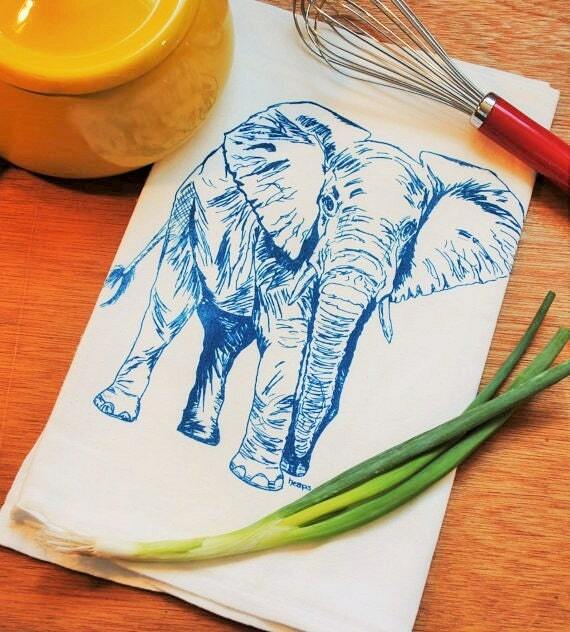 Add a charming addition to your kitchen with this new safari animal flour sack tea towel! Bought this Tea Towel in the color Gray, love it, I bought it with the Cherry Red Giraffe, they look great together, they shipped on time, the fabric is great, I can't say enough about these towels, will be back to this site to buy more, they make great gifts. Exactly what I wanted and what the pictures show. Can't wait to give this as a Christmas gift. It did take awhile to get to Missouri, but it was well worth it.